RealAutoTips. 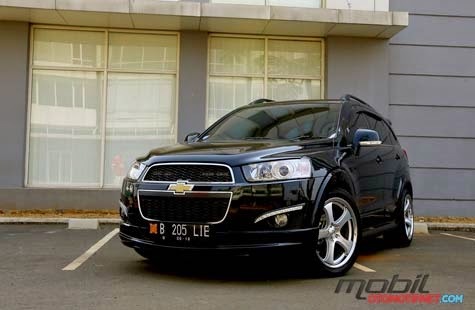 - In the first edition of car modification, in here we will show you you one of simple modification of Chevrolet Captiva VCDI 2013. So, if you bored with the original shape of Chevrolet Captiva VCDI 2013 you can make simple modification that will make different. 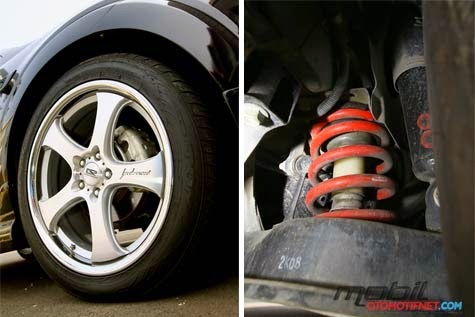 To modify your Chevrolet Captiva VCDI 2013 car, firstly you can choose a good body kit. 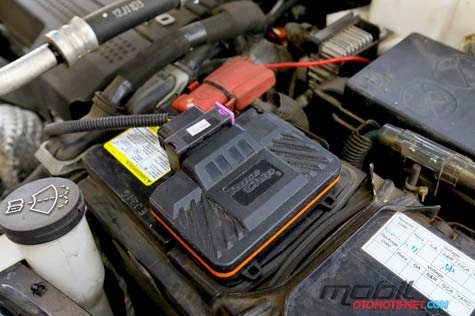 In here you can go to the car modification shop to know more information about the body kit that suitable with Captiva car. To make your Chevrolet Captiva VCDI 2013 look elegant and sporty it is not simple but need special skill like know about vertex must be correct. Likewise, the side skirts. No need to be too thick, but enough to add the impression of a shorter body and other. In line with these shades, now you can change rim default. You can use size 20 inch Toyo Proxes tires size 255 / 45R20. In order for the meeting, as per standard output replaceable wear special Eibach Captiva already cut one thread. This application makes the height of the lower body.